We’re moving right along in the Craft + Laundry Room. Actually the craft side of the room is pretty much done. I’d like to buy a new chair but that’s it! 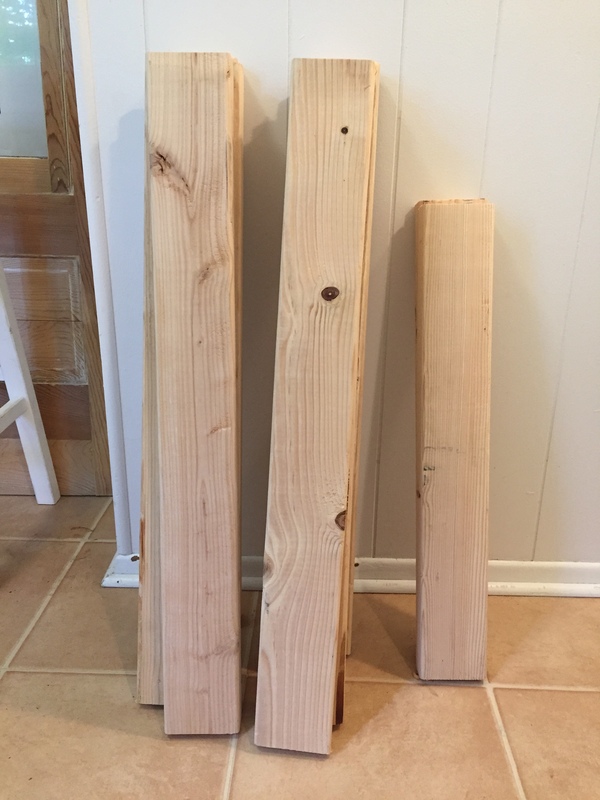 I made this sawhorse desk for about $35! Not too shabby and I really like how it turned out. What’s funny is it actually took longer to have my wood cut at Home Depot that it did to put this desk together. So easy! It’s 2ft wide and it was over 6ft tall so we had to cut some of the length off with our circular saw. Truth be told, we cut more length off than I wanted but oops! it still works. #reallife Seriously, measure twice, cut once. Once you cut you can’t go back people! I chose this door because I loved the gold hardware on it. 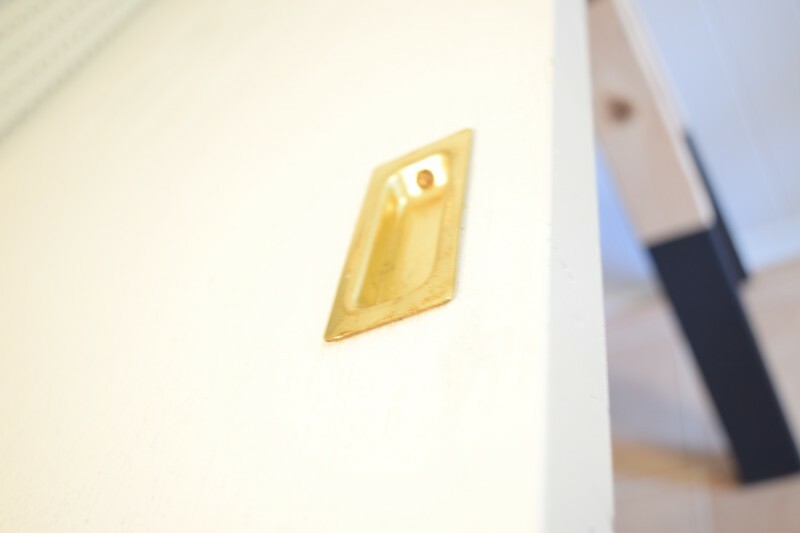 I spray painted my door white using Valspar Paint + Primer I already had on hand. Once home I put it all together in less than 10 minutes, I’m not even KIDDING y’all, it’s so easy. 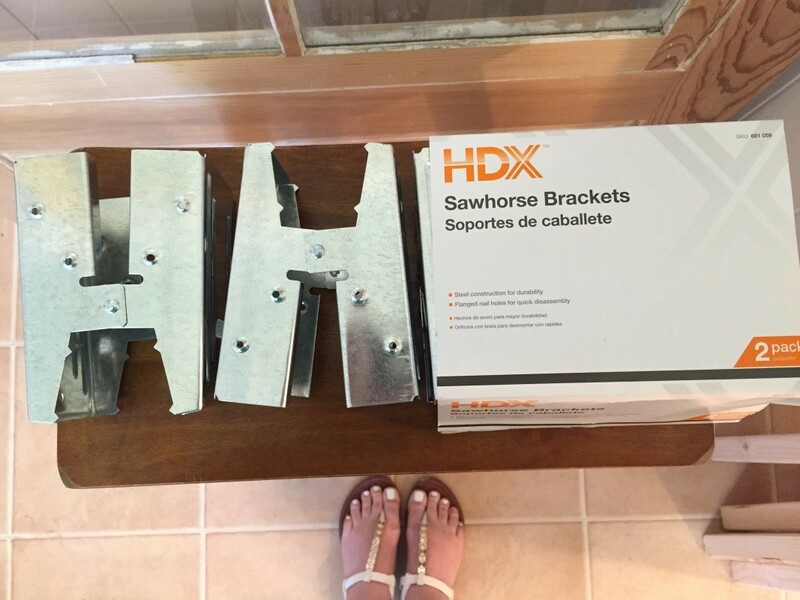 You open your galvanized sawhorse brackets and insert your cut 2 x 4 pieces. Once you have both legs done you add your cross piece in and squeeze the brackets closed so the little teeth with hold onto the wood. Then grab some wood screws and fill all the provided holes with screws. So easy!! I know I keep saying that but FOR REAL. I like easy!! 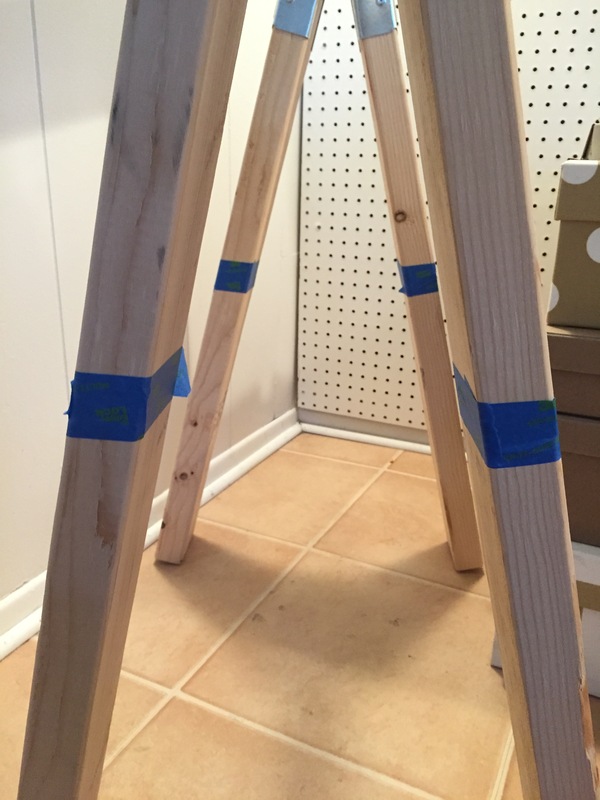 I then laid my spray painted door on top of my sawhorses and used two little “L” brackets to secure the top to the sawhorses. I used black chalk paint to give the legs a dipped look but left the rest of the wood raw. And Voila! DONE! I’m loving this space. It’s so nice to have my crafts organized. I used some Command Strips intended for string Christmas lights that I found on clearance to keep my wall lamp plugs from hanging out behind the desk. This is a total beginner (or in my case lazy person hee!hee!) project. 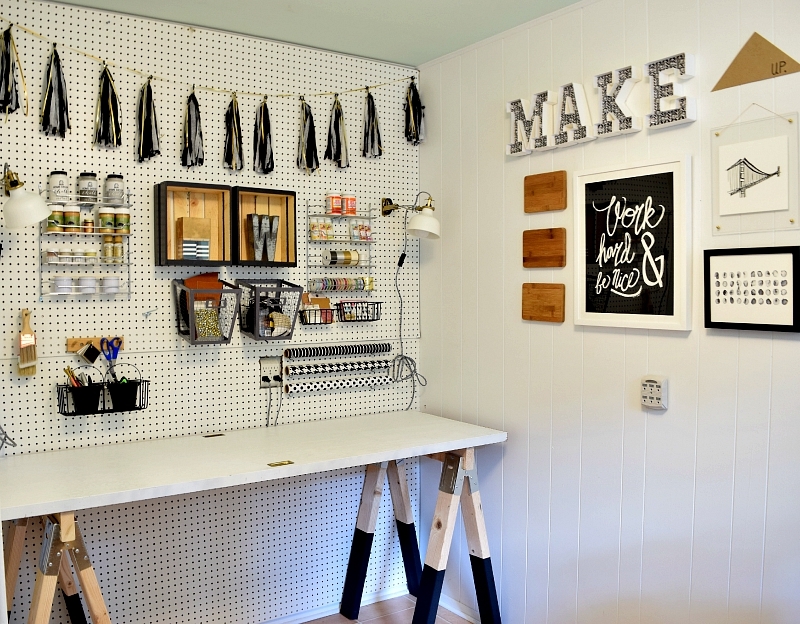 Anyone, ANYONE can make this desk! Do you think you’ll give it a go? Later this week or early next week I’m going to share my storage box tricks 🙂 See you then!! Love it!! All the black and white and gold goodness 🙂 Definitely in love with your craft space!! It’s absolutely BRILLIANT Leigh Anne! 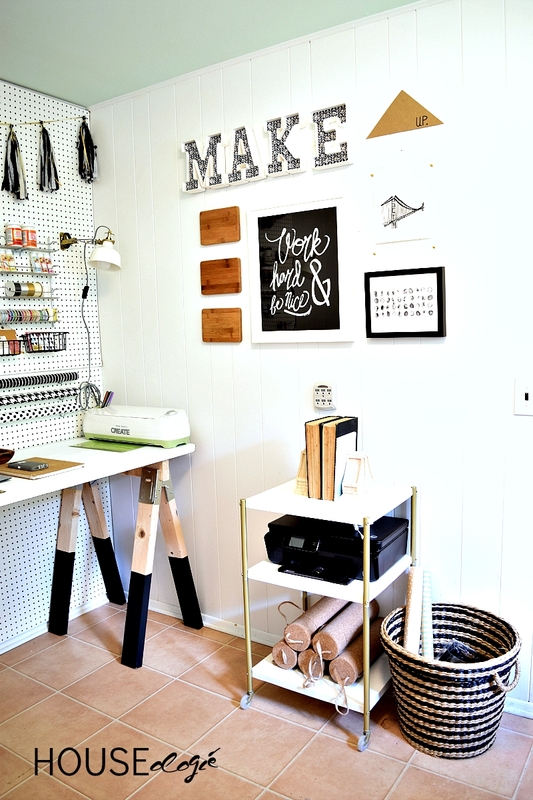 I never would have thought to create a desk with those sawhorse brackets and using a closet door, just genius!!! LOVE how it turned out!!! Me again! Stopping by to let you know I will be featuring your fantastic table!!! You are so clever, love the black, white and gold look, your making me want to makeover everything, lol. Thank you so much for sharing this pin on the P3 party Board! We loved your pin and it will be featured this Friday on Made in a Day! So expect a little traffic from me on Social Media tomorrow. Woohoo!! Thanks for all the love Kim, you’ve made my day!! 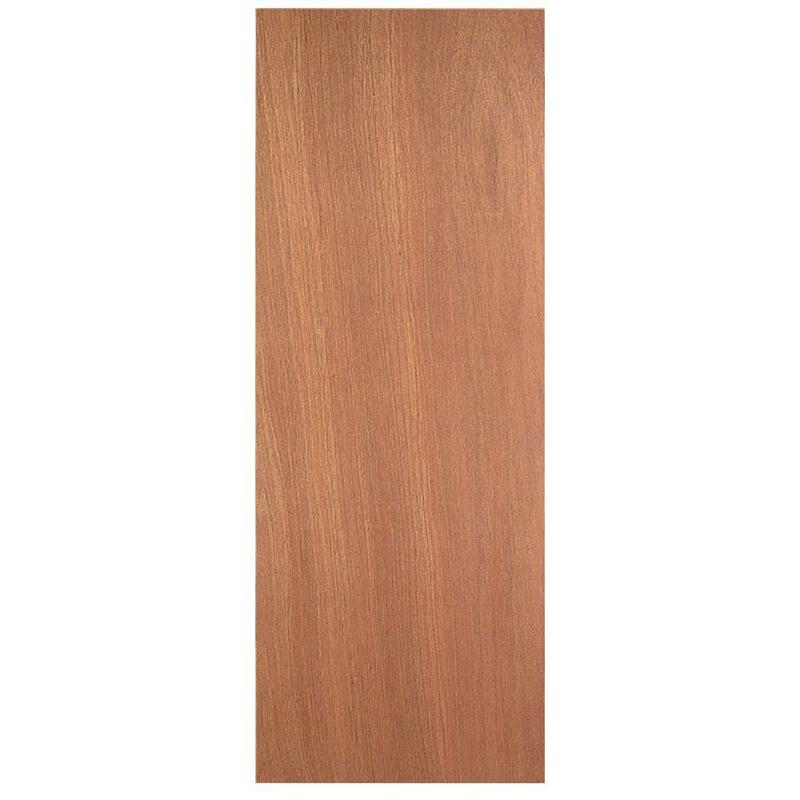 Hi would you mind giving the dimensions of this desk? 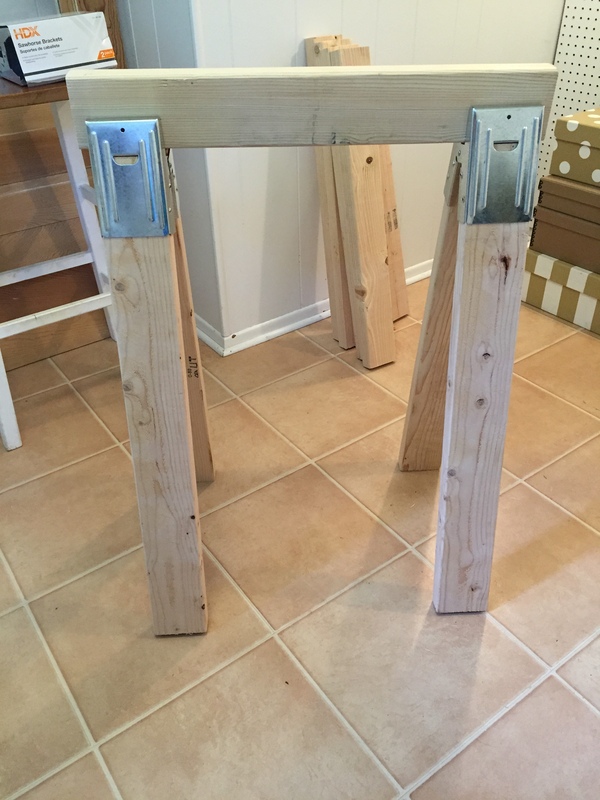 I am looking at making a “stand up desk” with this technique, meaning my sawhorses would be 40 inches tall. 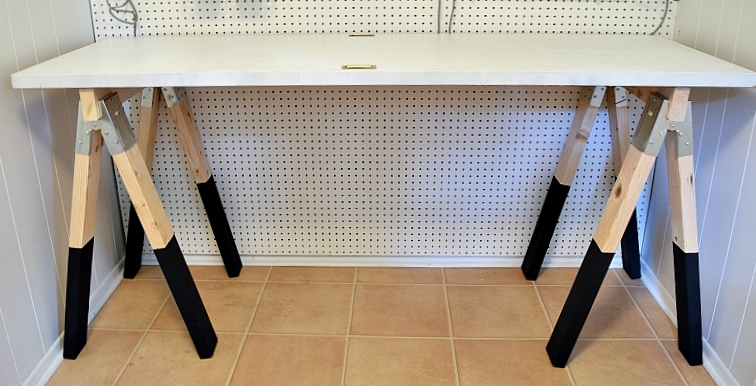 I’m concerned about the “underneath” portion being taken up by the sawhorse legs! 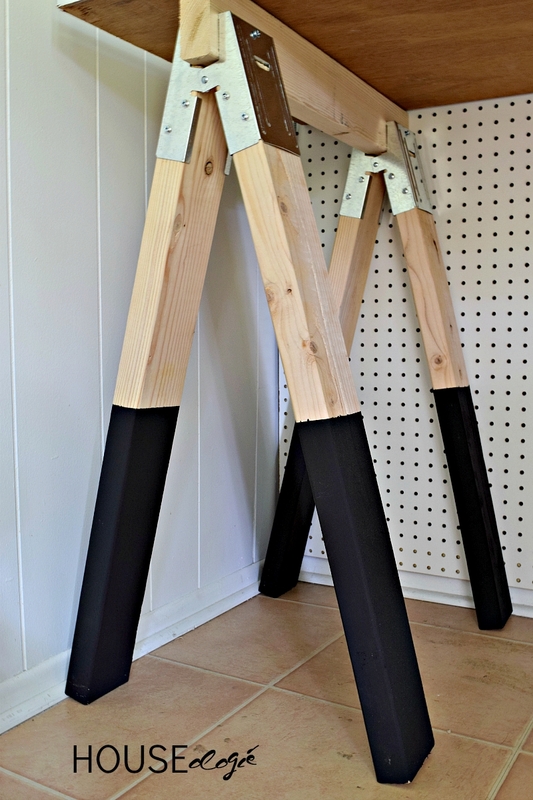 I’m not sure of my dimensions but the good thing is the sawhorse clips are adjustable so you could make them as tall and narrow or as short and wide as you’d like. 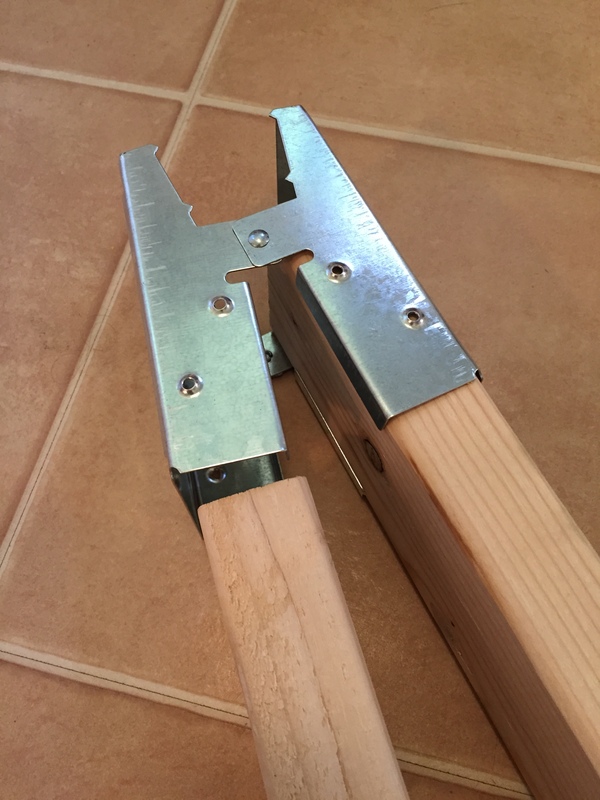 You’d just need to add a thicker cross piece so that the teeth of the clips can sink into the wood. Hope that makes sense! A very good project, simple and elegant. Great table! How do you attach the door to the rest, thats the only part I’m confused by! Love this idea. My dd and I were talking about making a new small desk for her room and this may be the one.